You can return to our gunneras page or browse the pictures using the next and previous links. Its a gorgeous corner Sue,, I have Gunnera in a big pot, I Hope it grows as big as yours..Love it..
love this gunnera effect,how long did it take to get this big. it took a couple of years to get that big,i bought it from someone off ebay.a few years ago. 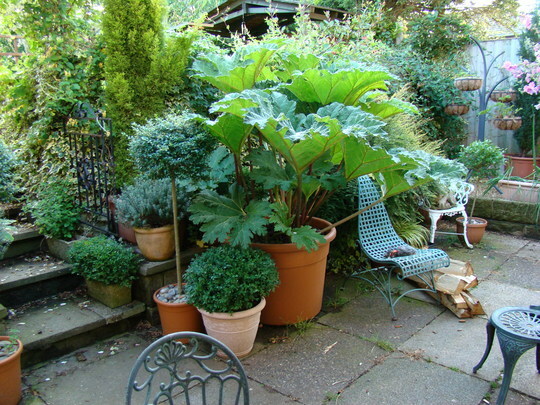 What size pot is the Gunnera in please?